Educational Qualification: B.E. / B. Tech (Electrical / Mechanical / Electronics & Communication). Mention clearly in your application the position applied for, as per eligibility. 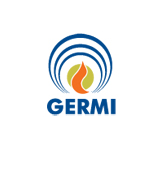 Duly filled application proforma with all documents should be sent to recruitment@germi.res.in on or before 6:00 pm (IST), 23rd October 2017 addressed to Director General, GERMI. No hard copy is to be submitted. INTERVIEWS DATE: 26th October 2017. Tentative Date Of Joining Will Be 1st November 2017.